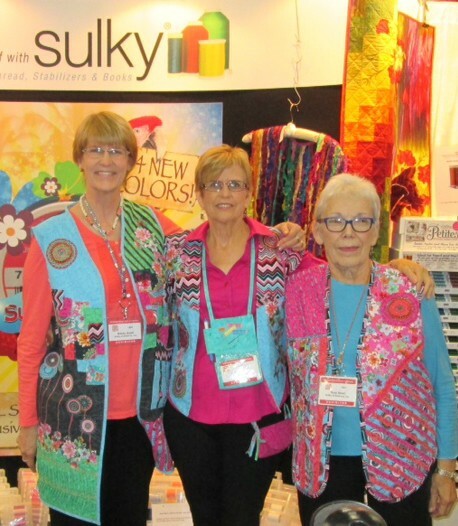 Suzy Seed, Nancy Sapin & Lee Fletcher, all National Educator’s representing Sulky of America, have been working the Sulky booth at the Houston International Quilt Festival for the past 7 years. 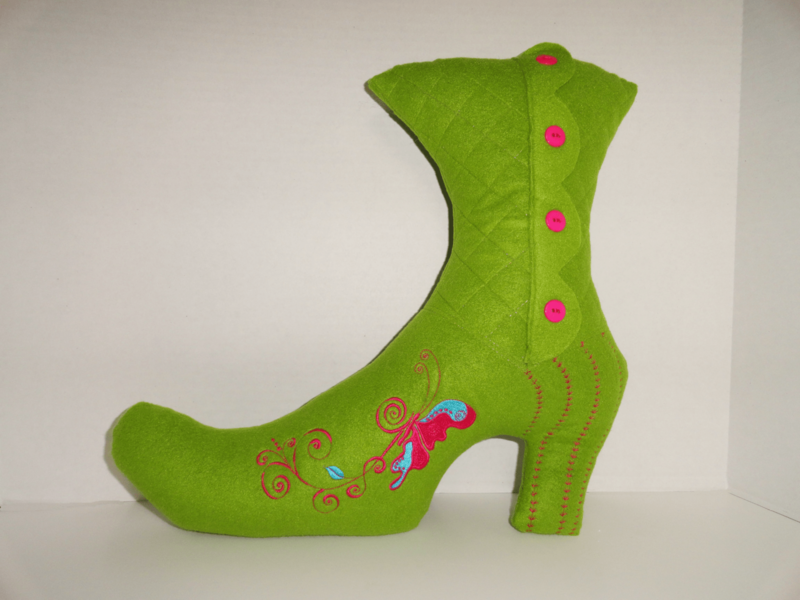 After the first year, they decided it would be fun to stretch their creativity and sewing knowledge, work outside of their comfort zone, and begin an adventure creating wearable art the round-robin way. What is a round robin? It’s when something gets passed from person to person, each person creating one part of a whole. Can you imagine the surprise when the garment owner receives all the finished pieces not knowing until the end what the other’s created. 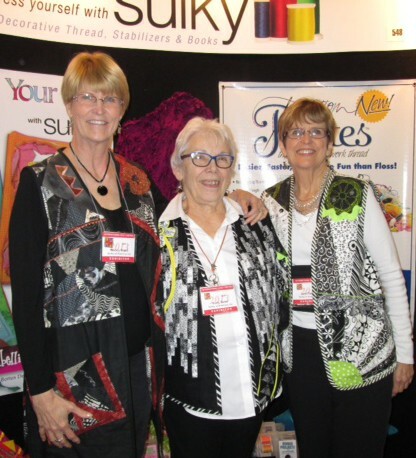 Each year, a pattern, fabric, and/or theme is decided upon during Quilt Market. 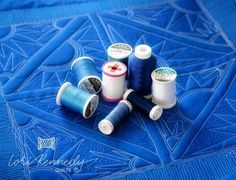 They each create their own backs and then send the fabric, thread and the cut-out front interlinings to the person next on the rotation list. When that person completes one side of the front of the vest, it is then sent on to the next person. The vest then comes back to the originator of the back for the final assembly. We each create our own back. 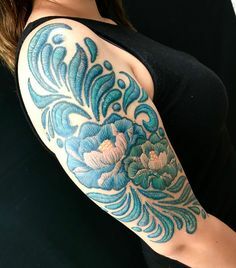 Finding the right design for my back that would not only look good, but that “stretches” the next person and me, becomes the challenge. I tend to sleep on a thought. I get my best ideas in a half sleep state. When I see what I want to create, I quickly jot down my thoughts and sketch out what I see. I can then go to work by laying out my fabrics, re-working my sketch, measuring, cutting and stitching. 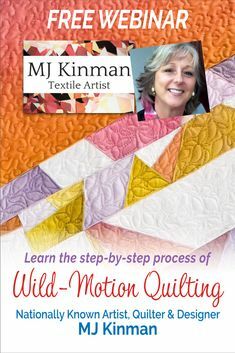 Free-motion quilting is the most fun as I like to try to use all of the different Sulky threads. However, I also enjoy the piecing process. 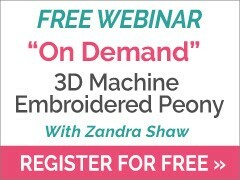 This is a great way to try a new design or technique without creating a whole quilt. 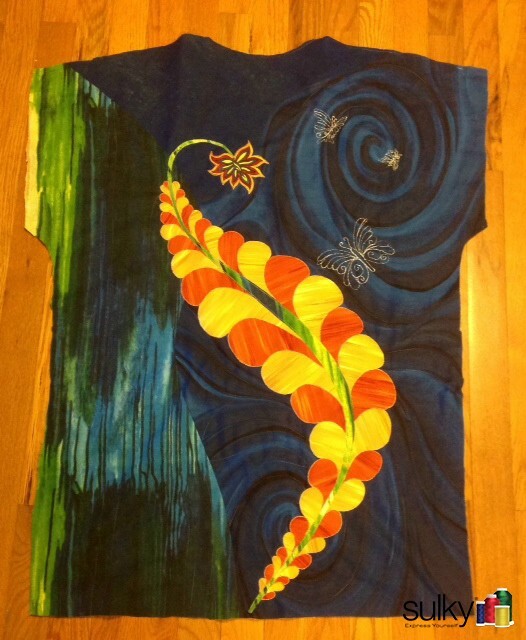 I’m finding that each year, I try to create something entirely different on my back designs. My designed back is now off to the next rotation for the creation of the first front. Sneak Peak at Nancy’s back for 2015! The next step is receiving the next vest rotation, and working on their first front panel. It’s wonderful to see what their back looks like. The challenging part now is to create a front panel that stays within their original design, plus adding some of my ideas into the mix. After studying their design, I would again sleep on it. Some nights can get a bit sleepless as I keep designing in my sleep. However, that’s when my best ideas emerge. Once again, I sketch, measure, cut, stitch and quilt. Then it’s off to the next rotation for the final front. That’s when I receive the third rotation. The anticipation begins to build as I wait to see what the last person’s vest will look like. The owner has created their back, it has gone to the second rotation so the first front panel is complete, and now my challenge is to make it cohesive. To me, this can be the easiest or most difficult of stages. Sometimes, I can see exactly what needs to be done to create this last front; but other times, I struggle to make it all come together. 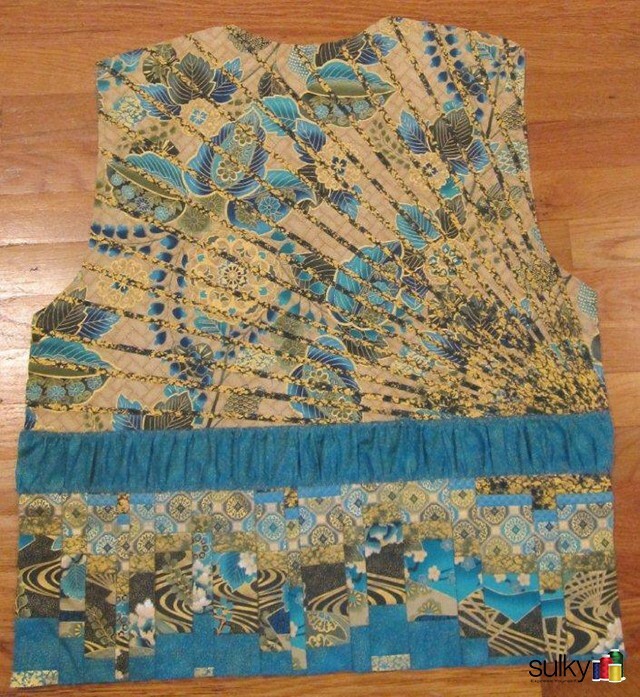 I really want the owner to like the final creation and enjoy wearing the vest. I don’t always sleep on this design. I need to study the pieces before me, see if I can add a technique from one of the Sulky books, or something that is unique to the owner. Once finished, it’s now shipped back to the vest owner. Next, my vest is returned to me for assembly. 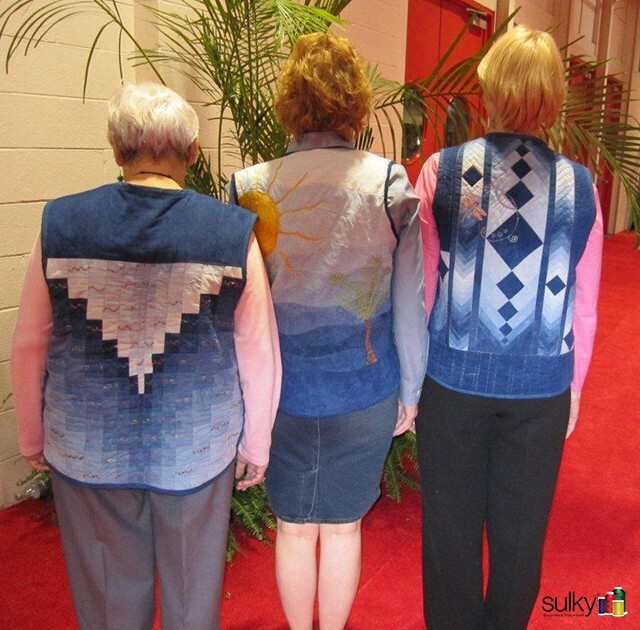 This is the most thrilling, seeing what Lee and Suzy have created; seeing how they visualized my original back design in creating the vest fronts. Each year is so totally different, and this has been something, I think, we all look forward to. It has really stretched each of us, not only out of our comfort zones, but opened up creative channels we might not have explored otherwise. I suggest other friends get together and explore a Round Robin adventure in quilting or garment making. 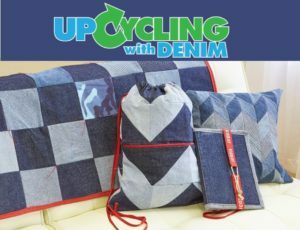 This annual challenge was such a great way to expand my sewing encyclopedia of techniques. 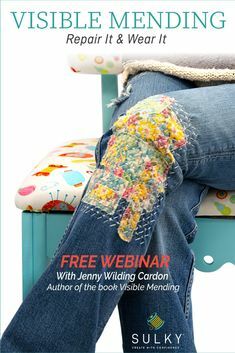 Even though I had done a lot of sewing, tailoring and even thread painting when I was very young, I had not been exposed to a lot of the embellishment techniques that has made Sulky famous. In addition, the Challenge forced me to put on my creative thinking cap and make good use of all of the threads that are now available! It was like being a kid in a candy shop! Once we had decided on the Challenge rules, my brain started to work in a huge swirling eddy-like manner! It is usually several weeks before I am able to start working on the vest back, but I left the fabric out in full view in my sewing room. I would gather the threads that I wanted to use and then wait until I finally had a “final” idea that I liked. Then I would either sketch it out on a piece of paper, or if I was really confident, just start cutting. Once the back was assembled, I started stitching. Most of the time, the back would be a bit different from my original vision. The hardest part of the whole process is stopping! It is a contagious process. 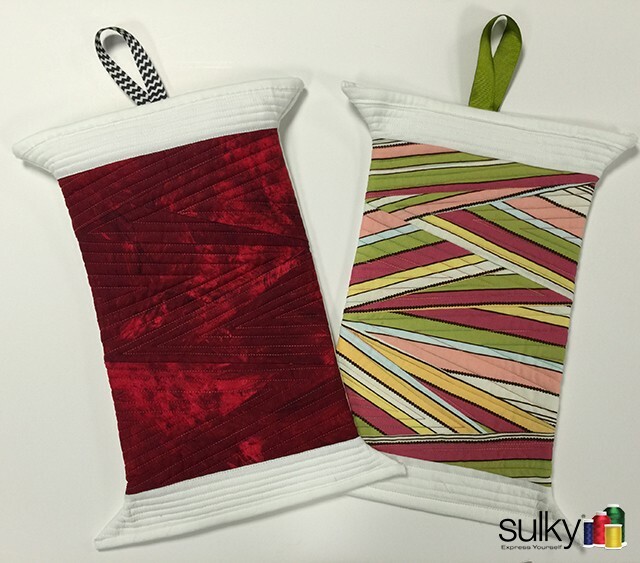 Designing the vest fronts for Suzy and Nancy is always fun. I generally look at adding some different techniques than they have used on the back, while still keeping true to the original theme. Most of the time, I take my time looking at the back for a few days before starting. I end up having dreams about what the possibilities are and then one day, the vision is complete and I get it done! 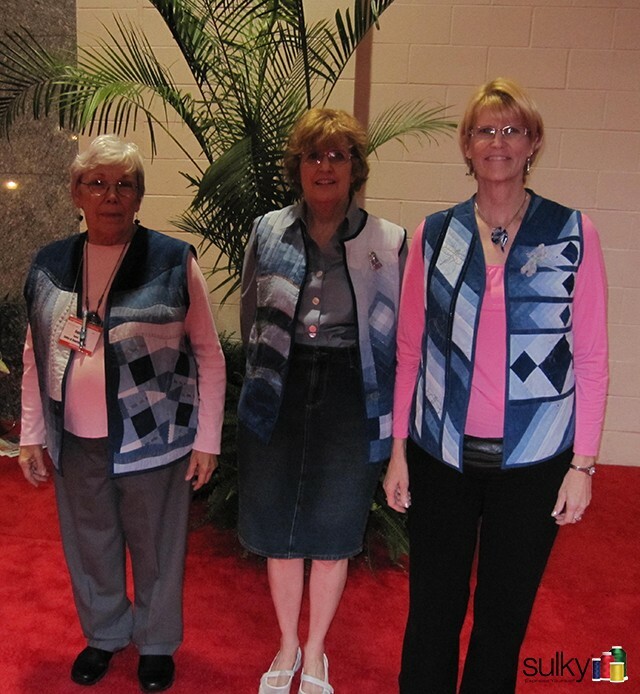 The end result of each vest is sew exciting! I am always in awe of the two fronts that come back to me. 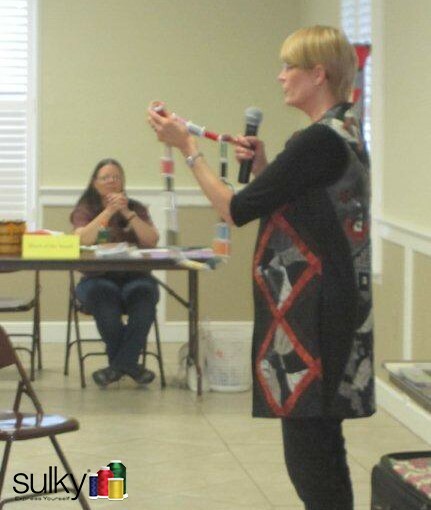 The unveiling of the annual challenge at Quilt Market is always lots of fun. I highly recommend this challenge to anyone who has a friend or two! Another tradition these ladies have is to go to the same restaurant every year on the first day of Festival. The staff love seeing the new vest every year too! 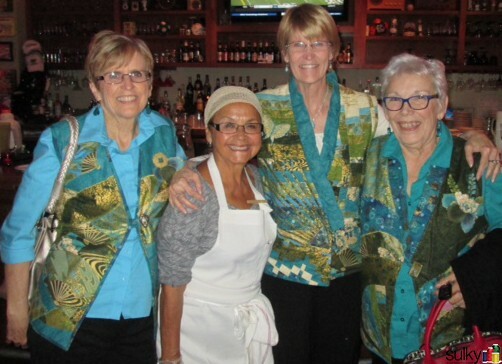 Here they are with one of their friends from the restaurant in 2013 vests. I audition fabric and “see what it says”. I’ll pin it to my body form and walk around it for a few days. 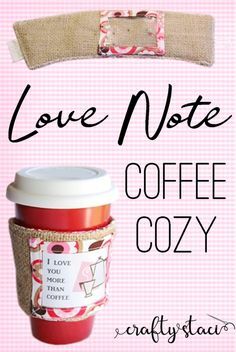 I draw ideas and pin that to the the fabric to see if I like the idea. When I receive the back from one of the Sulky Sisters, I’ll again pin to the dress form and study it for a couple of days. The challenge for me is to get inside the head of the other person and make it blend and flow. This is the creative stretch for me. Nancy loves curves, Lee is super creative and I like linear lines. The part that I do should have the feel of the owner. When I receive the next round with a back and a front already done it always seems a little easier. The tone is totally set and I just need to tie everything up so it looks really good with the other front and back. I always audition each part so I can get the feel. Also when you are third woman on a vest, sometimes the fabric is almost used up soooo…I have to stretch myself and the fabric! 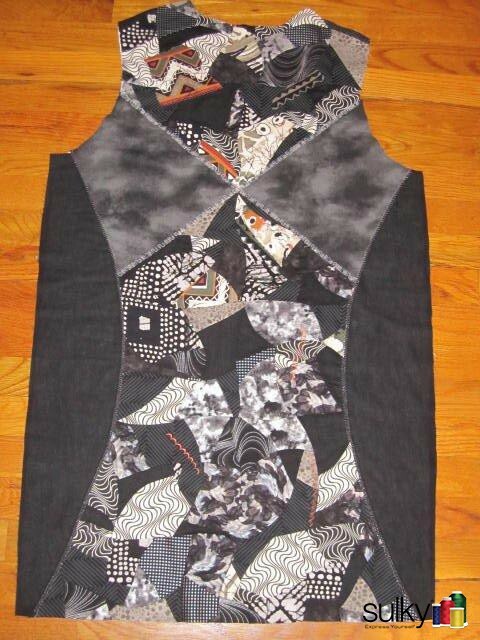 When my vest returns I cut out the lining — sometimes I embellish it too and put a pocket on at least one front. I cut my binding (always on the bias because of the curves) and apply. Do the final press and hang it up ready for Quilt Festival. Patterns used are: Dana Marie Design Co. Kimono Jacket and Vest, Linda Kubic Elements pattern, Easy Street Garments Blended Beauty. Are they fearless, or what?! This is a fun way to learn to trust your creative process, and your friends!